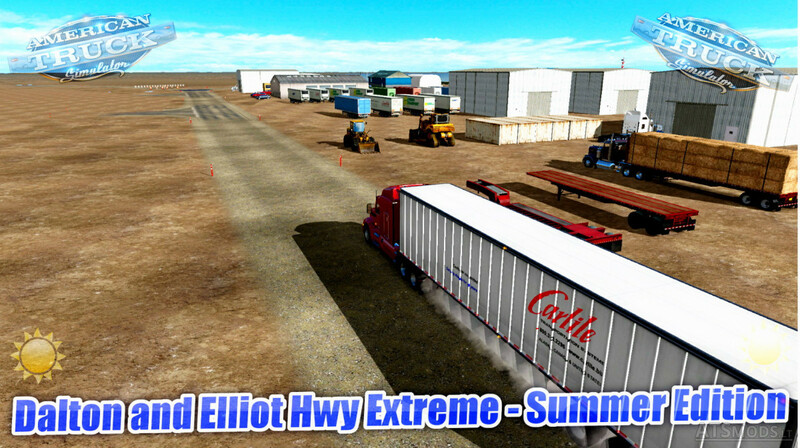 Dalton and Elliot Hwy Extreme – Summer Edition v1.0 (1.28.x) for American Truck Simulator game. The map is a Standalone Map on a 1:1 Scale and is NOT Compatible with any other map i.e C2C or Mexuscan so please do not ask. I was going to make it an addon but with the rescale it would cause more headaches than its worth. Experience has been increased to reflect the size of the map compared to the base game. Pay has not. This map is not for the feint of heart it will take you 20 minutes to get to Fox from Fairbanks and 3 1/2 hours to get to Yukon River Camp. It takes about 2 hours or so just to get to the Dalton Highway from Fairbanks alone. There are hills and corners that will make your jaw drop or wake you up. This map has been mapped with google earth and elevations for every single node added to their correct heights for their respective locations via Google Maps Find Altitude. For those of you who remember my 18 WOS Haulin version you are in for a real treat. there is no map shaking like the original back in 18WOS. Pavel told me the map was so big the game couldnt handle it lol. There are two versions one Summer and one Winter. As this is a W.I.P. and ongoing there maybe a few places that are not yet complete. 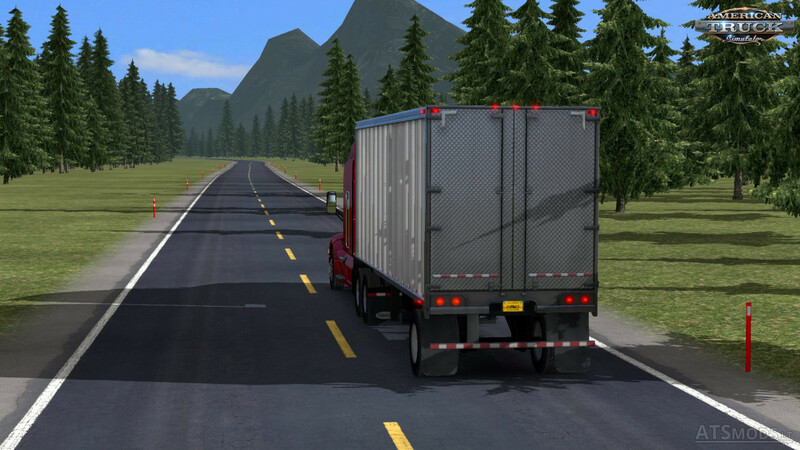 I have blocked off the road where necessary so road construction can continue and you do not fall off the world. Eyesores will be taken care of at a later point as well as any holes I spot. Custom Signs as seen along the way. I am aware of most errors (mainly cosmetic) that are on the map. There is no need for any gas/petrol cheats. You can get to Coldfoot without the need to sleep or refuel. This map is in realtime. Wiseman, Chandalar Station, Atigun Pass, Pump Station 4, Bettles, Galbraith Lake, Toolik Field Station, Pump Station 3, Ice Cut, Happy Valley Airstrip, Sag River Station, Pump Station 2, Deadhorse. 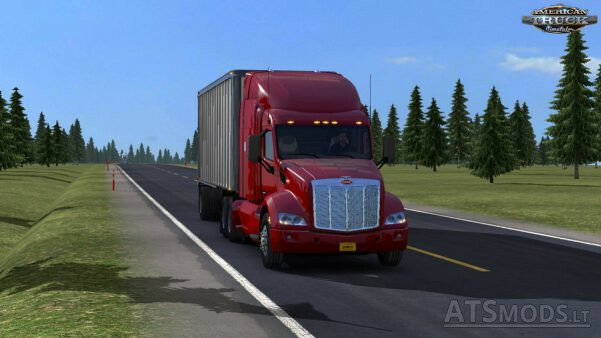 Hey nice map but it makes one of the trucks steering wheel disappear already tried it without other mods but does the same thing please fix it. Nothing to do with mods its a user command only SCS brought in a year ago. it crashes,what is the load order? Try going to his official thread on the SCS forums to find the load order and how to use this.